Fans seemed overwhelmingly enthused following Kanye West’s third consecutive Sunday Service. The January 27 edition came in the form of a series of loose ‘Ye freestyles from Dame Dash’s L.A. studio, where he was joined by Dash himself — who even dropped in a few ad-libs. No one was more excited to see the unmistakably happy MC in his element than 22-year-old producer Justin “Caliveli” Callahan, who crafted all five of the instrumentals ‘Ye rapped over. He first met Dame in last June at a Culture Vultures Masterclass — after which he briefly spoke to the mogul while getting his copy of the Culture Vultures book (co-written with Kenyatta Griggs) signed. “While [Dame] was autographing the book for me, I told him that I had been working for Damion ‘Damizza’ Young,” he explains. 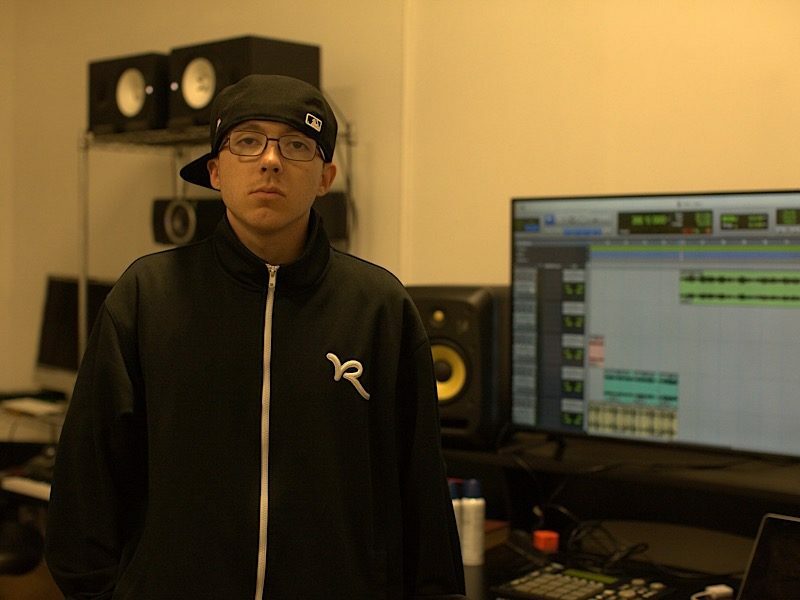 Young, the former program director for Power 106, was instrumental in breaking artists like Ja Rule and JAY-Z. Young was interviewing Dash a month later. After once again speaking with Caliveli, he ultimately offered him a job. Caliveli has since programmed the beta version of Dash’s television network, Dame Dash Television (aka DDTV), which is currently streaming live on the Dame Dash Studio You Tube channel — with the official station launching in the next month. Flash forward to January 27, and the young producer, who says Kanye inspired him to get an MPC and ASR-10, was given the look of a lifetime. “I told Kanye that I make beats and that it would be an honor if he listened to them,” he says. ”Dame said, ‘Don’t do that, don’t worry, I got you, bro … Kanye told me that he wants to listen to them.’ Dame, Kanye, and everyone else came into the studio and Kanye told me to start recording. As an underaged producer who used to wait outside of venues hoping for opportunities to give artists thumb drives of beats, these rare videos of Kanye freestyling are a priceless calling card. “Such a blessing,” he says. Check out some of the freestyles below.